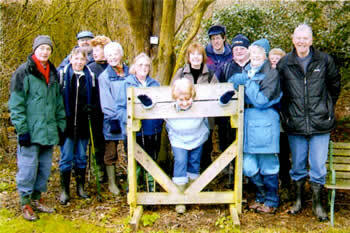 Walking group is under the Chairmanship of Terry Jones, a small group which arranges walks within the local area. The Walking group was formed in 1992 following a suggestion from a few members who were keen to keep the public footpaths around the Little Aston area open. Since the early walks that included whittington, Wall and Cannock Chase the group has grown in numbers and ventured much further afield. Recent walks have taken us to Stratford, Earlswood and Sandon. Walks are circular and we meet on the second Sunday of each month. The walks are between 5-6 miles and we lunch at a pub!. The criteria on the distance from Little Aston is 1 hour driving. Each member is invited to take their turn at planning and leading a walk. The walks have been very varied and picturesque and overall the weather has been kind to us with only one walk cancelled due to bad weather in the 17 years we have been walking.